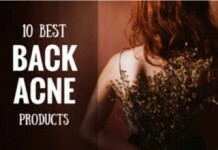 Blackheads are a nuisance and a dreaded thing to notice when you look in the mirror. If they only appeared sparingly and occasionally then you could easily deal with them. But considering that you have landed on this page, chances are that when you do get blackheads they attack you in numbers. The cause is actually very simple. Certain skin types are more prone to a build-up of oil in the pores. As these become blocked the oil starts to push to the surface where it reacts with oxygen and turns black. Not surprisingly that’s where the term blackhead comes from. 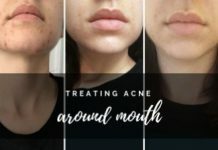 While there are quite a few products you can use to reduce the chance of blackheads appearing, sometimes there’s just nothing left in your power. They are there, and you want to get rid of them as quickly as possible. That’s where face masks come into play with their exceptional ability to open up blocked pores and dissolve the oily substance. Once you peel and wash it away you will find that your skin looks very different than just a few minutes earlier. 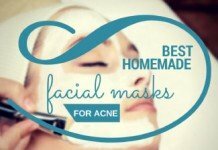 On this page you will find the best blackhead peel off masks available right now. Once you pick the right one for your skin type and start adding it to your routine, you’ll wonder how you coped without it. 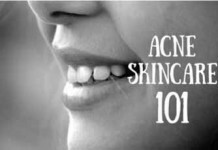 If you're in a rush, below are the Top 3 Best Blackhead Peel Off Masks for Acne Prone Skin. 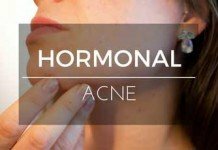 Treatment against pimples & cysts. 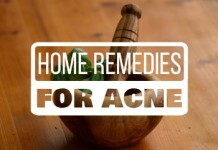 Kills any acne causing bacteria. For sensitive and Combination skins. Does not leave the skin dry. For sensitive and acne prone skin. Will penetrate deep into your pores. Very gentle even with sensitive skin types. Products from Exposed skincare line offer a good blend of quality and price, and people swear by it up and down. This mask has plenty of good features and can help people of all ages to clear blackheads fast. 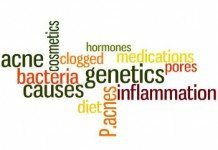 It has plenty of other beneficial ingredients as well that push this product further up the line. The product is beneficial in making the skin glow and giving it an even tone. It also acts as an intoxicant. Simply unbeatable at clearing away acne especially blackheads. Can be used as spot treatment against pimples and cysts. Or as a face mask to cleanse all the skin of acne and prevent any resurgence. Sulfur (3.0%) kills any acne causing bacteria and Charcoal removes any excess oil. Also removes toxins and impurities from the skin. Should only be used twice a week because of its strength. Leaves the skin a little dry after use. Comparatively, a high price tag. The Freeman Cucumber Facial mask has a great soothing feel to it and can work wonders with your skin to make it fresher and more glowing. The product is made of botanical ingredients which gives it additional freshness and health. It also makes the product gentle and soothing while working to replenish the moisture and nutrients of the skin. Cucumber extracts and other natural ingredients make it especially soothing for sensitive and combination skins while delivering good overall results. Suitable For: Sensitive and Combination skins. A very soothing experience to remove blackheads and other forms of acne off your skin. Does not leave the skin dry like other masks. Dries off very quickly and is easy to peel off. Cool sensation when applied will leave you feeling refreshed. Cucumber extracts and Chamomile soothe and hydrate the skin. Contains no parabens that are linked with cancer. Geared towards consistent general care rather than removing blackheads instantly. Leans towards being gentler to the skin and compromising hard hitting results. Yes to Tomatoes is a fantastic Mask that can improve your skin on a great number of levels. The mask has a large number of elements that benefit the skin. 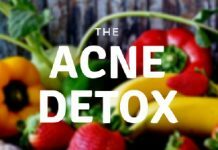 It is very beneficial against acne and blackheads and has almost unparalleled detoxifying effects. The charcoal in the product removes the impurities in your skin and the salicylic acid combats all form of acne from appearing again. 5% salicylic acid is a pure fighter against acne and will penetrate deep into your pores to cleanse blackheads. Impurities will be removed by the charcoal in the product. The product is very gentle even with sensitive skin types and open pores. The natural ingredients like aloe, tomato and watermelon provide an exceptionally smooth experience. The product foams gleefully and has very pleasurable softness when applied. Very effective and results can be seen very quickly with just a few usages. 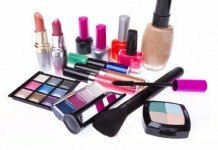 Fragrance added may prove to be irritating on some skin types. Not for people allergic to salicylic acid. The Freeman Facial Mask is a mask that works very well in removing those annoying blackheads. 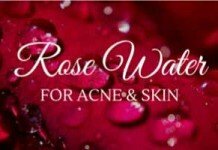 It also provides several other benefits because of its natural ingredients that help nourish the skin and keep the skin primed. The mask is extremely exfoliating and is very gentle as well so there are no problems after washing it off and for the sensitive skin types. The mask holds a gigantic reputation and has gathered a very positive renown. It also won a couple of allure awards which are a testament to the mask working very well. Works gently but effectively and removes blackheads in a jiffy. No after effect of dryness is witnessed. The product works perfectly for all skin types. Feels pleasantly lukewarm when applied and gives a sense of relaxation. Presents a bright and even complexion when removed. The allure awards speak for themselves. Not thick enough to be applied as a mask and so is often used as a cream. Overnight results not expected and consistency required. A tinge of roughness when it leaves the skin. The Biore Self heating mask is a mask to behold! This mask is different to all others in the list because of its unique approach to cleansing. The Biore self-heating mask has the innate ability to heat up when it comes in contact with water! The instructions suggest that you should wet your face first, then apply the mask. When you do this, the mask gets warm and it is just a lovely sensation. The upside of this is that warmth and water opens up the pores on the skin and allows the mask to perform its magic. With the pores now opened, the cleansing can take place at a deeper level! It leaves the skin feeling refreshed and a gives it a brighter glow. Cleans the skin on a deep level and washes the dirt and excess oil out. Very effective at removing blackheads and acne. The allure award is a worthy accolade and richly deserved. The charcoal in the product draws out impurities and excess oil. 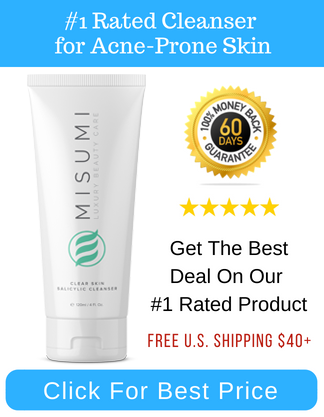 Works in just one minute to give you a feeling of freshness and relieving you of your acne. Packaging makes application a little messy. One sachet may not have enough for some people. Not at all suitable for sensitive skin. The Aria Starr Mask is another fantastic mask that will leave you yearning for more of its soothing feeling. This product exfoliates the skin and detoxifies it. It also has a cleansing effect is very suited to oily skin and can remove your blackheads in a jiffy. The product contains Aloe Vera, Jojoba oil and Shea butter; all of which make the skin feel smooth and leaves with a beautiful smoothness. The mask contains a lot of elements like sulfur, bromide and calcium etc. that fight against all sorts of acne. The product has a lovely smell to it that leaves a pleasant mood for some time. It suits oily skin tremendously and will be a surefire success for the oily skinned audience. It performs equally well for male and female skins. Is very effective at cleaning acne and blackheads, especially with continued regular use. The mask dries off really quickly so you don’t have to dedicate a large chunk of time to apply the mask. Works well when applied consistently only. Sensitive skinned people may experience redness in some occasions and cases. The Derma-Nu mineral mask is a great mask for all skin types and has overall great effects on your skin. The mask contains exotic nutrients which have proven positive effects on the skin. The mask will not let you down and will provide everything you need in a face mask. It will replenish your skin making it glow and feel healthy and will also wipe out acne and blackheads. Another great feature of the mask is that it is 100% natural and organic which is great news for sensitive skin types. Without any chemicals, any potential side effects are margined to a minimum. Suits all skin types. Whether you have oily, dry, sensitive or combination skin, this will work for you. Very effective at killing blackheads and all other forms of acne. Organic ingredients nourish the skin and provide excellent smoothness and glow. The mask reduces pores and wrinkles very well as well as revitalizing your complexion. No chemicals present that may cause irritation or other side effects. 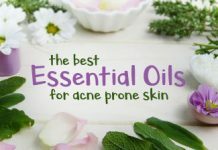 Slightly lesser effective against acne than other products on the list. Proactiv+ skin mask is a great skin treatment mask. The mask has a load of different benefits that your skin can gain. It is almost a complete skin care treatment that can do all sort of good stuff with your skin including clearing away blackheads. Proactiv is known for their excellent skin products and they maintain their high standards with this mask. The mask clears away blemishes and gives a smoother, softer and revitalized skin. It also cleans pores and its high value content of 6% sulfur fights acne like the best creams around. The general perception and reviews surrounding us regarding the product are almost all positive. Suits all skin types including the difficult ones like sensitive and oily skins. 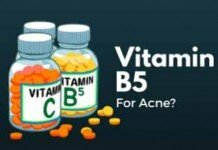 Their claim to fame is their effectiveness at reducing acne and they do not disappoint in this regard as the product is very effective against blackheads and other acne. Is great at reducing redness. Removes excess oil and shine from the face. The antioxidants replenish the skin and offer a smoother look. Can be used as a very effective spot treatment or a regular component for your beauty regime. Not suitable if you are allergic to sulfur. Leaves the skin significantly dry. 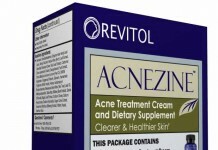 The Aztec Secret Indian Healing mask is a strong option when considering masks to remove stubborn acne and blackheads. This mask is very potent and can clear blackheads in short amount of time. Along with other beneficial ingredients, the main focus of the mask is to remove acne and blackheads. The mask also leaves the skin refreshed and revitalized. This is a very potent mask that can make a difference to your skin fast. Packs extreme effectiveness against acne and blackheads. Makes the skin tone uniform and reduces any blemishes. 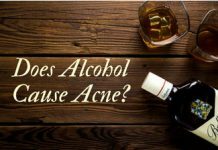 The formula is endorsed by dermatologists and there are countless rave stories on the internet swearing about this product. Is not suitable for extremely sensitive skin due to its power-packed approach. Leaves the skin red for a small period of time. Not suitable to apply for more than 20 minutes. Not for daily use. It should be used sparingly like once a week. The bamboo mask is a unique mask. It is designed to be a super mask that peels off all the unhealthiness off your face. The mask when applied, dries after a few minutes and sticks onto the skin. To remove it, you have to peel it off and that is when the magic happens. 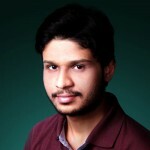 All the acne, blackheads and pollution comes off with it as well, leaving your face clean and acne free as it has been. Made to specially work against acne and blackheads. 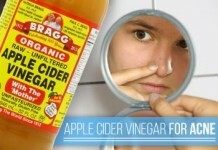 A very potent solution to cleanse your skin and remove all bumps from your face. It works well for men and women alike. This can be used for all skin problems and has very drastic results. A lot of people complain about the pain experienced when peeling the mask off as it sticks to everything on your face. A thin film is usually required for easy peeling. Can only be used once or twice a week because of its potency. Not suitable for sensitive skin. 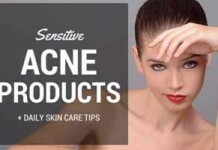 Anyone with overly sensitive skin should stay miles clear. So these our picks for the best face masks available. Share your experiences in the comments or tell us if we missed your favorite blackhead remover mask.